Today, I'm much into proper skin care than makeup. My routine is not just washing the face but regularly using a toner, serum and moisturiser. Because healthy skin don't even need too much makeup. That being said, I make extra effort to visit the spa and beauty care center at least twice a month. It feels good and I'm more confident having glowing skin. Unfortunately, skin aging will eventually happen. The only good thing is that it can be delayed with the latest innovations.At my age of 35+ it is normal to see wrinkles on my face. Although it doesn't bother me much because there are non-invasive procedures that provides an instant face lifting effect and body contouring. 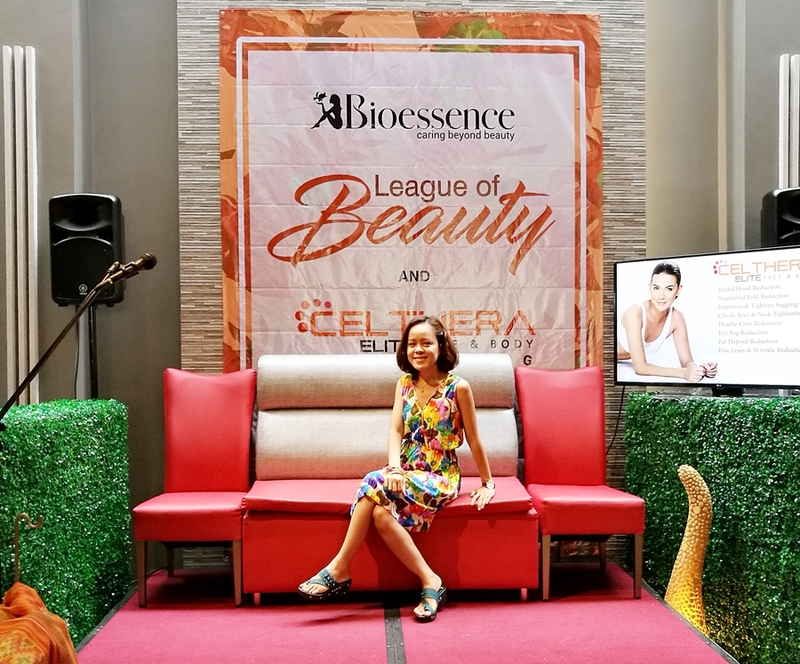 Bioessence recently launched the newest treatment called Celthera. Here are some of the benefits of Celthera. dual treatment working on the skin's dermis and SMAS as delivery heat energy to SMAS. 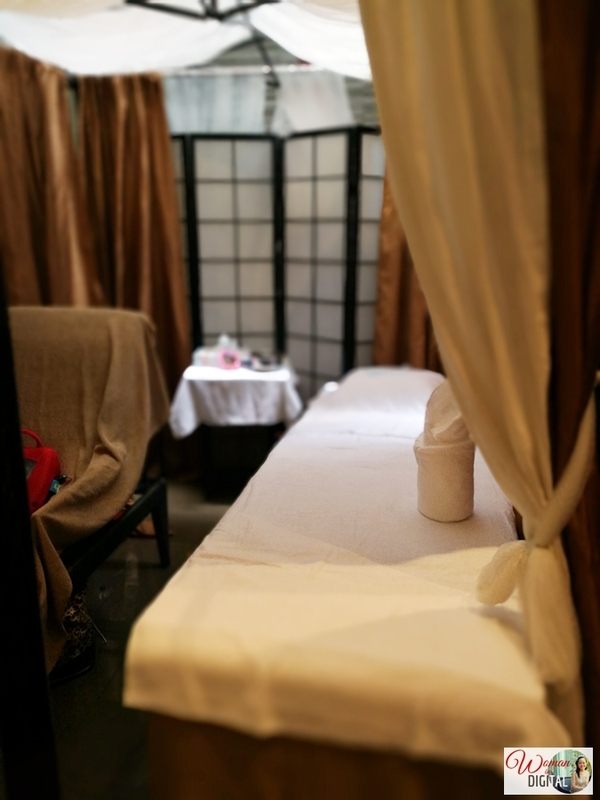 We were treated to a back massage and hand paraffin treatment. 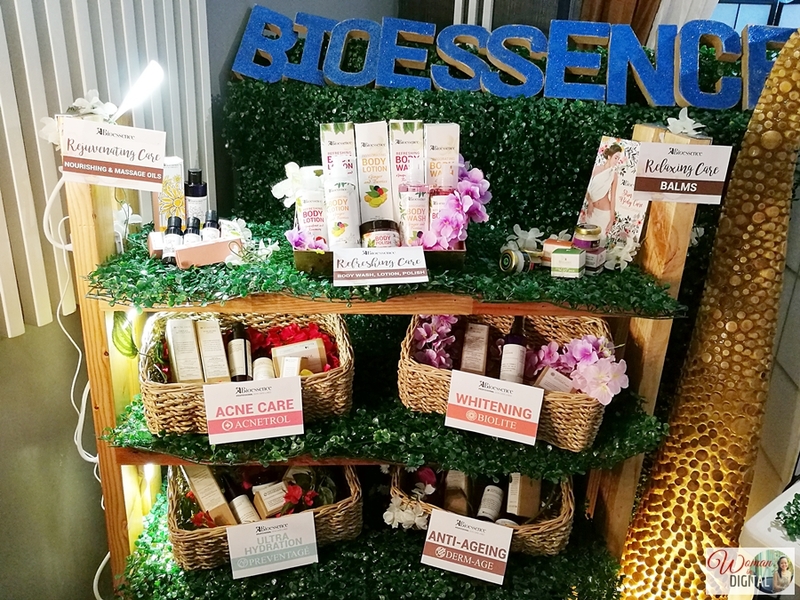 Here are the photos taken during the event. The brand also revealed its Bioessence League of Beauty and Wellness with beauty and lifestyle bloggers - Genzel Habab, Anne Clutz, Monica Ferrer and couple Nina and Jet Rayos. 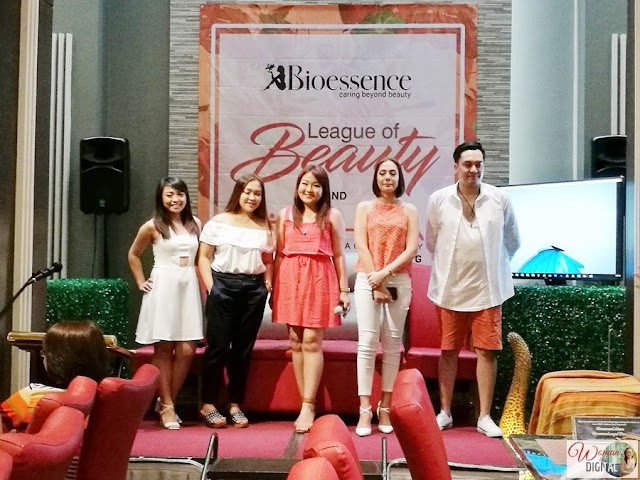 They shared how they managed to take care of their skin and body in between work and family duties. Bioessence showed us how Celthera is done. I personally saw the instant glow and lift to the lucky guest. I went home with Bioessence goodies including these - Derm-Age Gel Toner, body soap and body firming oil. 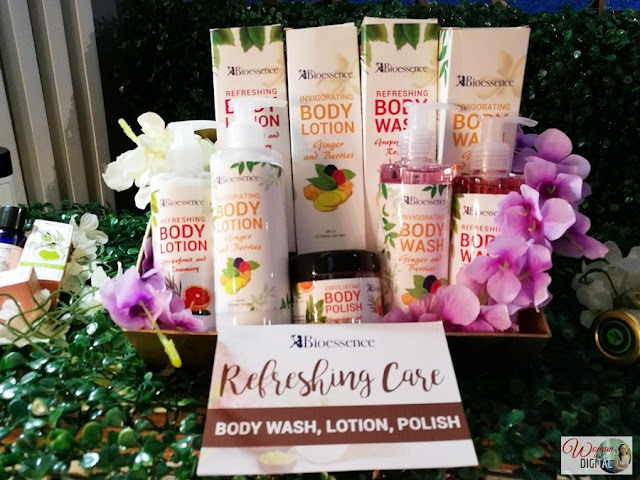 Read about my review of Bioessence Biolite Whitening here. 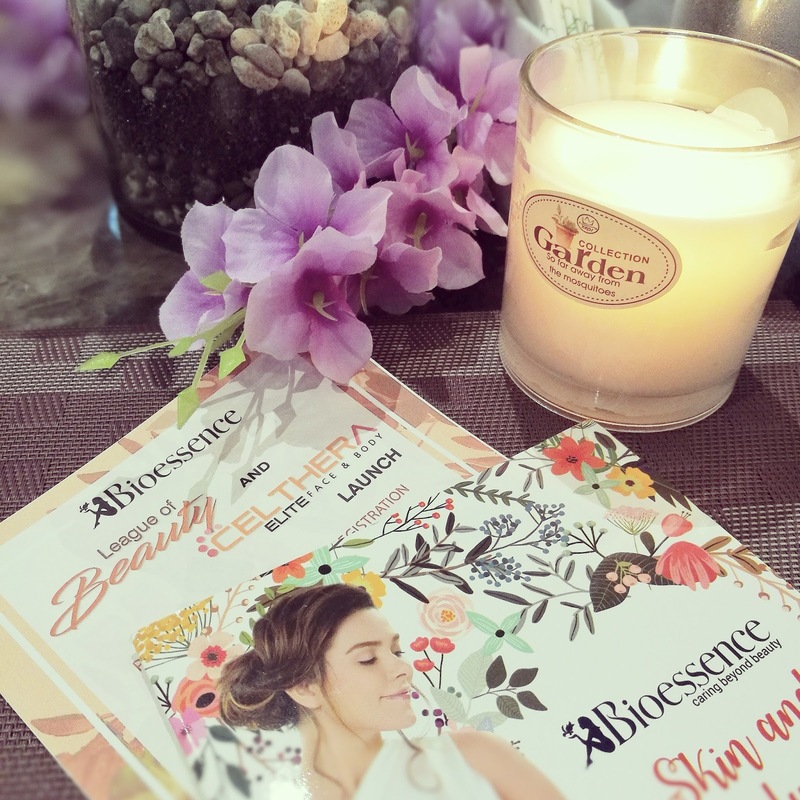 What do you think of Bioessence's Celthera? Have you ever tried any face lifting and body contouring treatments in the past? Share your experience, I would love to hear them.